"Lovely lake. Super bailiff Hard to fish properly but a good challenge! Enjoyed it very much"
"Had a great time here at etang5 already looking at going back has good potential the facilities need to be better but but Rome wasn't built in a day .. well done to the bailiff Craig Humphrys top job and thanks for all your help"
"Can't comment on stock as blanked, as we expected to as very hard venue at times, especially when weather is against you. Will be back though "
"Very well run & one of the most helpful bailiffs i've come across in European fishing in 20 years !" "The Bailiff could not communicate with us only seen him twice.shower did not work and when telling the bailiff he could not understand ." 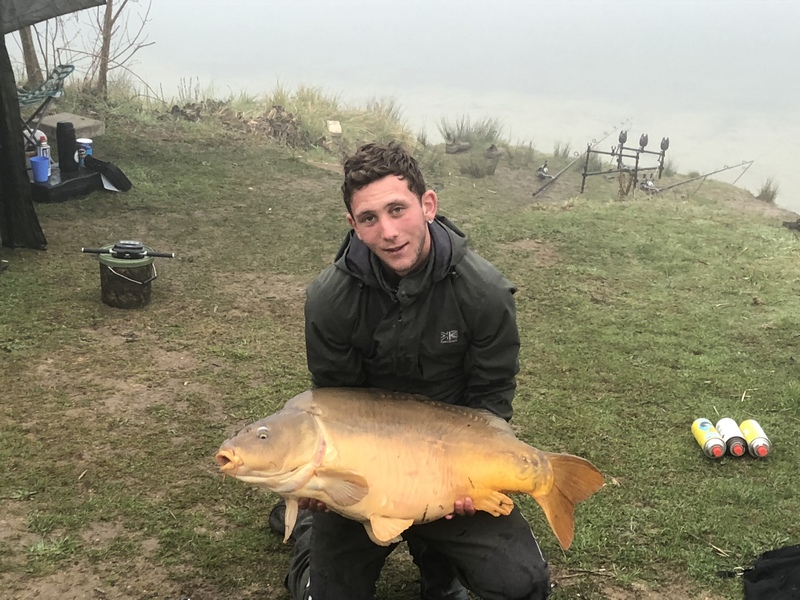 "Lovely lake , quite a challenge with the weed but the rewards are in there , if the fish move in on you then be prepared with lots of bait . Bailif Patrick was very welcoming and approachable and nothing was too much to ask , thanks Patrick , will see you next year . 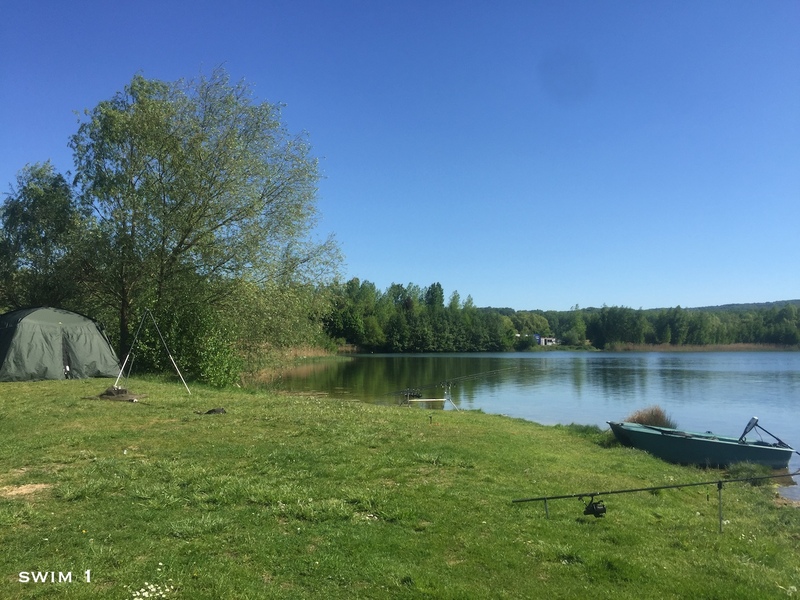 Only negative was the shower was a bit hit and miss but it didn’t spoil the superb fishing that we had , and the toilets were kept clean and tidy which I felt was more important "
"The lake it’s self is a stunning place . Although some of the swims could do with some work to make them a bit more easier to access the waters edge. The lack of mains water was a surprise. Patrick the bailiff was on hand for Anything to help!! Him and his son are an asset to Le lake. Couldn’t do enough for us . " "Saw bailiff three times in two weeks very poor.also lot of line in lake.looks like lot of fishmen cutting line on sat not going out to get there rig,but still had good time. Graham." "Stunning lake, we had a great trip!" "Shower and toilet has to get sorted. Shower needs thermostat for safety- children and wife could not shower as scalding- so cold showers only. " "We fished in peg 5 swim . It was a bit dangerous getting down to the rods as the stairs were uneven. The bailiff was a very nice, helpful man who came to see us every day. We would return. The booking and payment online was easy. Thankyou for an enjoyable trip. " "I fished swim two for the first time, great swim for caching but could do with a little work lowering the bank to allow better access to boat. The portable toilet closest the swim had not been cleaned or emptied when I arrived but was some days into my trip, using it for the first few days wasn't a pleasant experience. Patrick the bailiff was very good and helpful, credit to your team." "fantastic just full of weed in May. Would go again just in the winter months. Bailiff was great, beers, bait and bread delivered each morning as requested. Swims too steep to get to your rods and you will have to take a dingy to bring the fish out of the weed." Etang 5 is stunning, legendary old gravel pit located in northern France. This venue is for the angler looking for something a little bit off the beaten track and different from the norm. 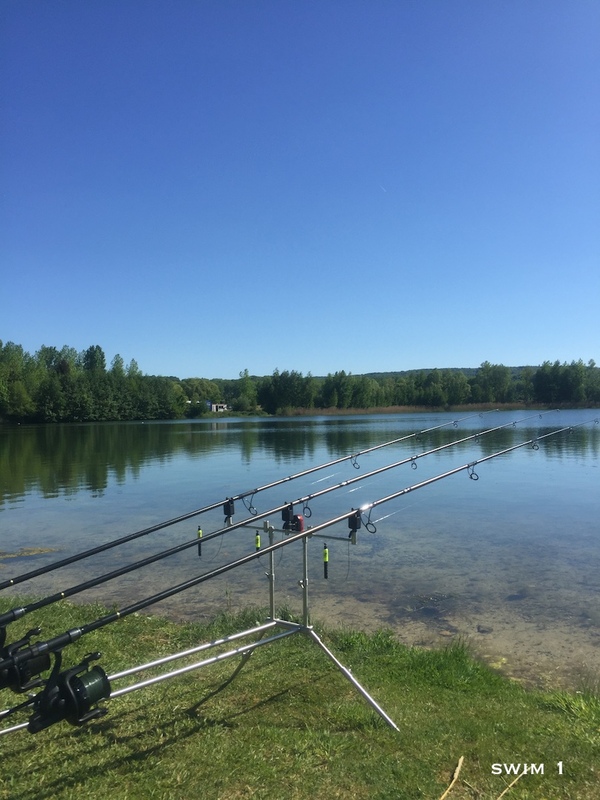 Set in a stunning location with breath-taking views this well kept venue is 101 acres (41 hectares) in size, with only 8 spacious swims, giving each angler ample room to fish. Depths vary between 1.5m - 8m, therefore waders, boats or baitboats are a must to explore the lakebed and find the best spots. The weed formation can make fishing difficult, especially during the hotter months, however the bottom has no major snags. This legendary lake hasn't been fished since 2009, giving the stock lots of time to grow on the abundant supply of natural food. 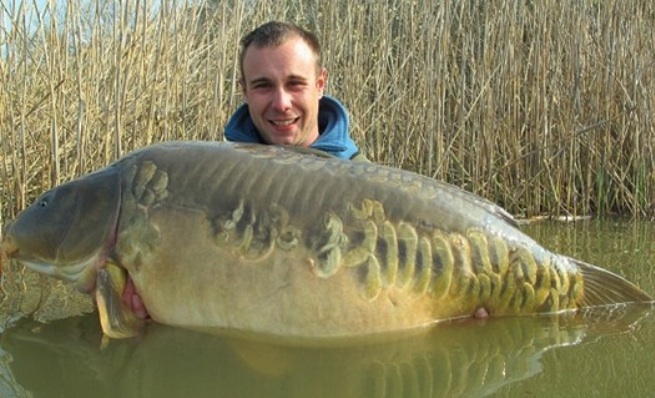 It has an amazing stock with very big carp that haven't seen a boilie in years, with weights up to a 86lb. 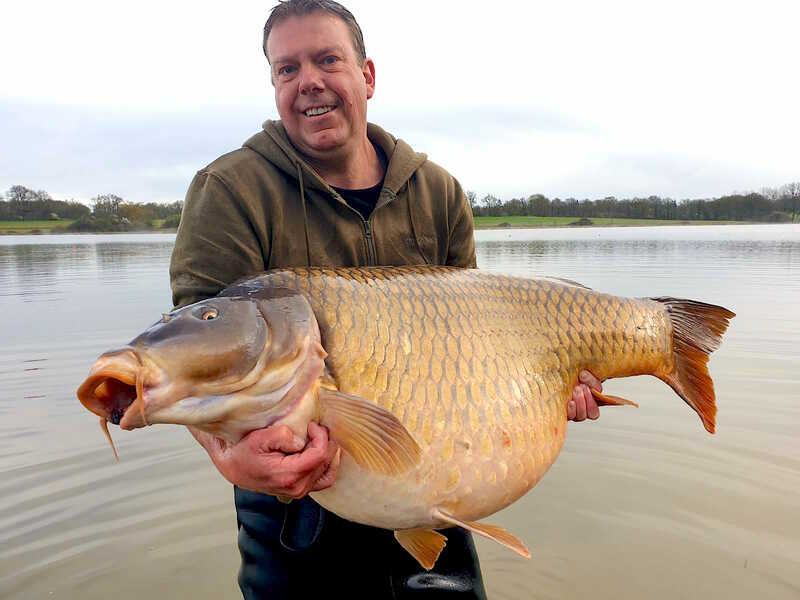 The amount of big carp is just staggering. Because no one has fished the lake since 2009 the exact sizes of the stock are unknown, so in the next few months we'll get a better picture of the lake's population. The bailiff underlines that this lake is only for experienced anglers due to the fact that the weed can be difficult. 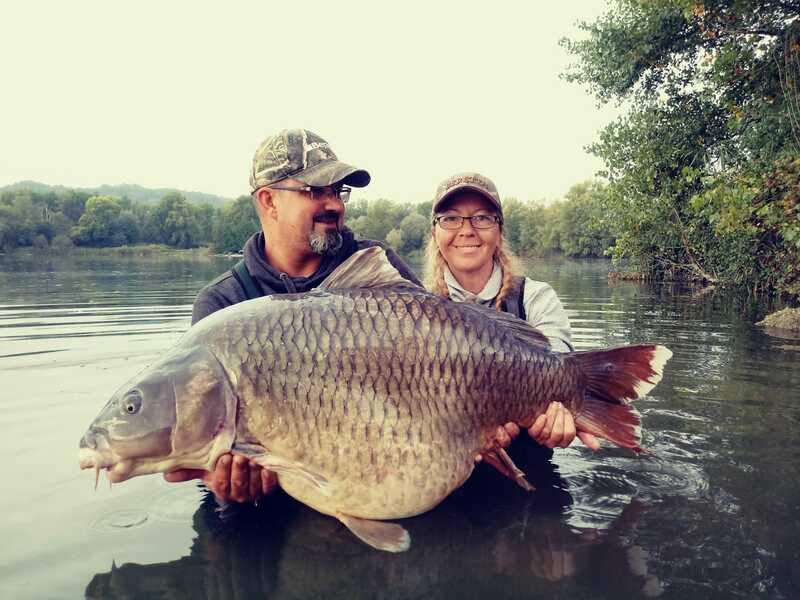 We also need experienced anglers that can handle these massive carp with care, so we can preserve the extraordinary stock. It should be noted there are also crayfish present so the use of rock hard meshed or plastic baits will be necessary on this venue. There are 8 double swims around the lake. 100 acres of water for only 8 swims gives lots of room between each swim, ensuring each angler has enough room to fish comfortably. The bottom of the lake is a mixture of clay and sand, with the odd gravel patch in between. There is also Onion weed and Canadian pond weed, which may present a bit of a problem with bait presentation, but it's nothing you can't handle with the aid of boat and aquascope to locate the clear spots. There are no restrictions on long range fishing, and all swims have car access. There is a sanitary block with hot and cold water, there is a sink, a shower and a WC. There is also a clubhouse with solarpanels to charge your boat batteries. Patrick is always around to give you the best service. In the nearby village of Pont-Saint-Maxence (4k from the venue) you'll find a supermarket, bakery and other shops to buy any essential food and supplies. Price per angler: 380 € per week for 2 anglers on the swim(Sat-Sat). 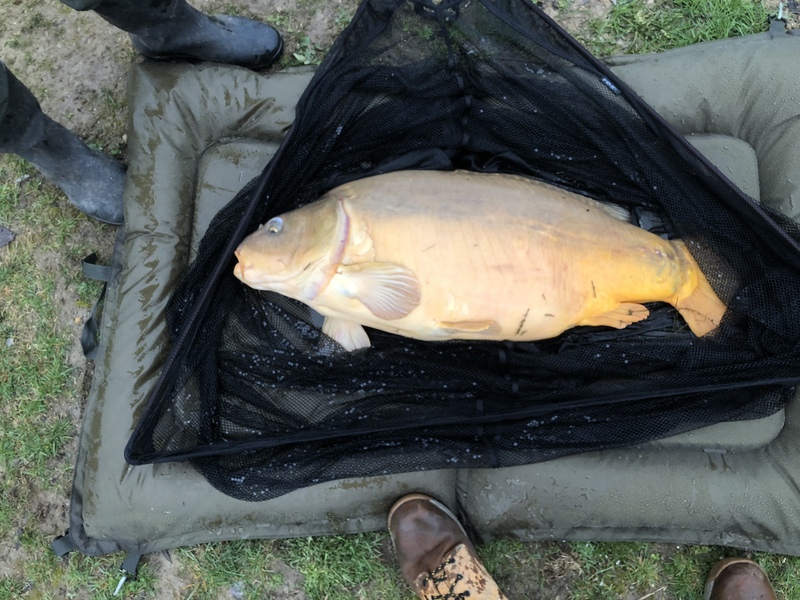 One angler on a swim cost 570€. But if you book a swim within 2 weeks before arrival, than you pay 300€ for one angler on the swim. Price per non-fishing guest: 70 € per week (Sat-Sat). 3 rods per angler. 1 single hook (barbed, size 4 mini. adviced). Nylon: 0,40mm mini. (0,50mm adviced). Braid: 0,20mm mini. (with 10m mini. in nylon in 0,40 mini.). Leadcores forbidden (rig tube allowed). Inline leads forbidden. Live baits forbidden. Boat (motor / echosounder) strongly adviced and baitboat allowed. Fish care: Thick and large sized mat and large landing net adviced. Constant monitoring of rods. Sack stricktly forbidden (sling authorized for short use). Time between catch and release must be as short as possible. Taking pictures in water is allowed and adviced. Fish must be handled with the greatest attention and caution. Any mutilation of the fish will be immediatly punished by a direct and definitive exclusion without any refund with invoicing at the level of the undergone damage and legal proceedings. Environmental concerns and Mutual respect : Any degradation forbidden inside the property, in and out the water. Fire on the ground only on delimited space. Bathing is forbidden. Any noice pollution forbidden. Please respect the sorting of waste. Boat : The use of a boat by anybody involves the fact that the user read all its instructions and all information attached to its use (same for any equipment to use). Life jackets compulsory. The user is in full capacity to use the boat. The state of boat will be controlled. Minimum 1m90, inflatable boat adviced. Motor and echosounder are strongly adviced. The boat always has to be under your control. It is forbidden to go beyond the swim limits. Always keep an eye on your position on the water, take several visual landmarks. Be careful to the way wind blows and adapt your direction (you can easily be puched to another swim if you do not control your boat). 2 persons maximum in the boat at the same time. Keep the adapted and coordinated movements, take your time (if you have a run, it is not necessary to be rude with the rod, keep the minimum necessary contact with fish). Be really careful with standing in the boat. Waders are strongly forbidden in the boat (drowning risk). Avoid taking the boat with big winds. (their gills could be seriously damaged). During picture, Never leave the fish alone. We allow a sling while you are preparing all fish care tackles before taking pictures in best conditions. Keep a bucket full of water next to you to wet the fish. Be careful with their cumous, avoid too many contact. Be careful with the tails, keep them in good position to not damage them. Do not hold the fish high. If the fish is nervous and moves too much, hide their eyes. Best position to take picture: you sit down cross-legged and lean on your knees. Picture in the water is adviced. Please remind that any bad fall could be fatal for the fish. ETANG 5 will not be held responsible for the condition of the used boat(s) and it's user(s) in any circumstance. Lifejacket is compulsary for every user at all times. 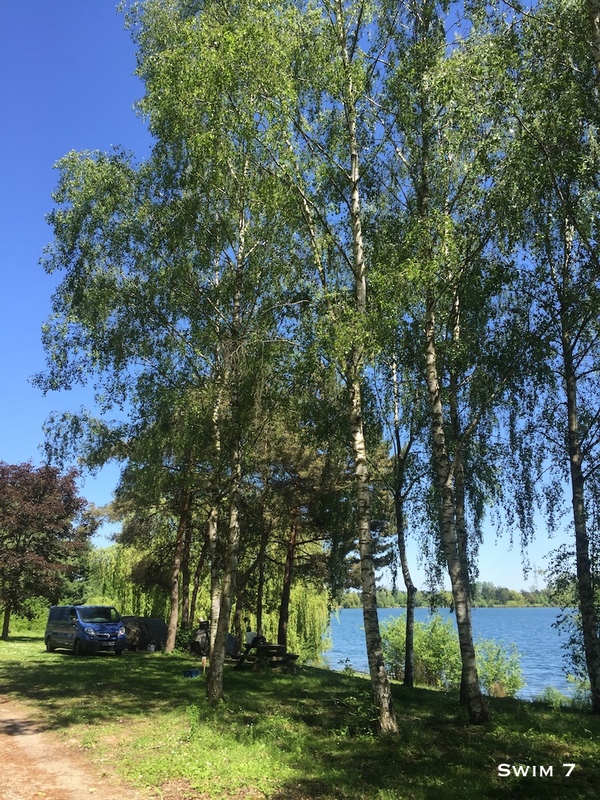 Every person staying at Etang 5, is fully aware of the above rules and do accept them without exception.